Chelsie Andrews, owner of Chelsie’s Automotive, started out working on cars apprenticing for his uncle. He then moved on to work full time at a mechanic shop, training and learning, before moving to Precision Tune in 1989. He spent his first two years as a technician at Precision Tune, and moved on to become the store manager. In July of 2009, Chelsie and his wife, Christine, were fortunate enough to acquire this location from the previous owners, and the shop became theirs. Today, Chelsie’s Automotive remains a family owned and operated business, with over 25 years of experience in auto repair excellence. It’s no wonder Chelsie’s Automotive has become one of the most trusted choices for auto repair in Austin! Of course, we wouldn’t be where we are today without the hard work from our excellent staff. 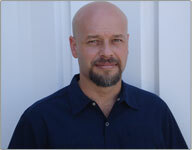 Bryon Demarco, our lead Technician and shop Foreman has over 24 years experience. He is very sharp and knowledgeable. He is ASE certified and is always looking forward to new training classes to learn about the latest technology. Josh Hollenbaugh, our Service Technician, and newest member to our team has over 2 years experience. He seems to have a natural talent for automotive repair, and has come a long way in a short time. Bryan Andrews, the Service Manager, and Chelsie’s son, started working when the family opened Chelsie’s Automotive LLC. He has over 4 and a half years experience and is coming along great. He is taking all the training courses we sign up for. Dustin Andrews, our Service Technician, and Chelsie’s son has over one year experience. Although relatively new to the industry he is learning quickly.